The call for course submissions is now open! 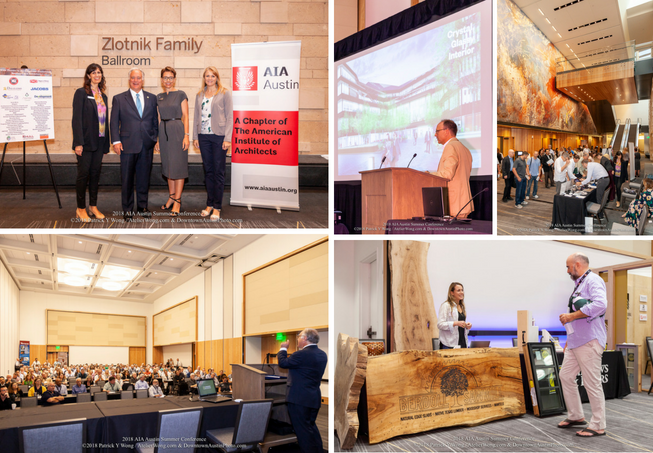 Each year in August, AIA Austin provides the design community with an educational conference offering a course selection curated by members, inspiring keynote speakers, and a design expo with local vendors. The conference offers two full days of unique courses, many of them led by AIA Austin members, covering up to 16 CEUs and featuring nationally reknown Keynote Speakers. A design expo highlighting local and regional companies who are offering new and exciting design-related products and/or services is open during lunch on both days of the conference, 11:30 a.m.-1:00 p.m., and happy hour on Thursday evening. Interested in sponsoring or exhibiting at the 2019 Summer Conference? Please contact Julia Brown with questions. Please contact Bridget Gayle Ground for more information about sponsorship opportunities.